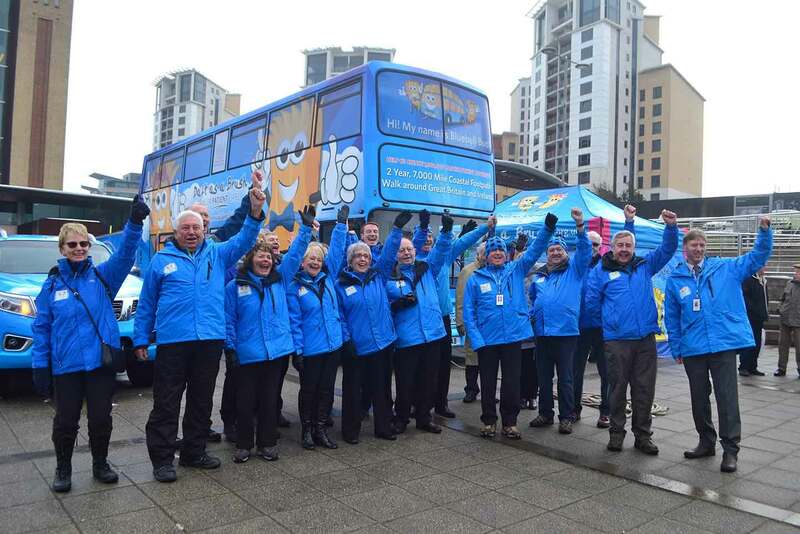 A HUGE thank you to everyone who cheered us away on our two year journey to create 1,000,000 cancer patient journeys. Launch Day was a huge success with Lord Lieutenant of Tyne and Wear, Sue Winfield OBE, escorted by the Captain of HMS Calliope, Commander Ian Berry. 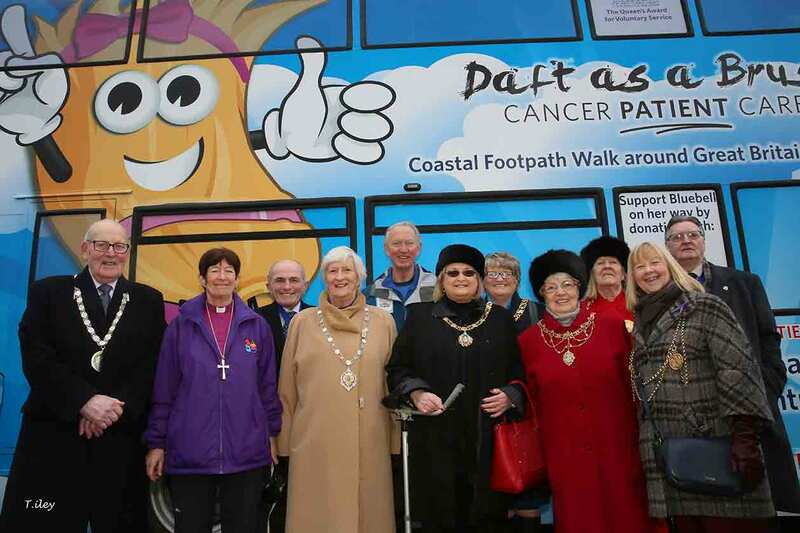 Christine Hardman, Bishop of Newcastle, blessing our Blubell Bus, the Mayor of Gateshead, Lord Mayor of Newcastle upon Tyne, Mayor of Sunderland, Deputy Chairman of North Tyneside Council, Mayor of South Tyneside and Civil head of Northumberland County Council. 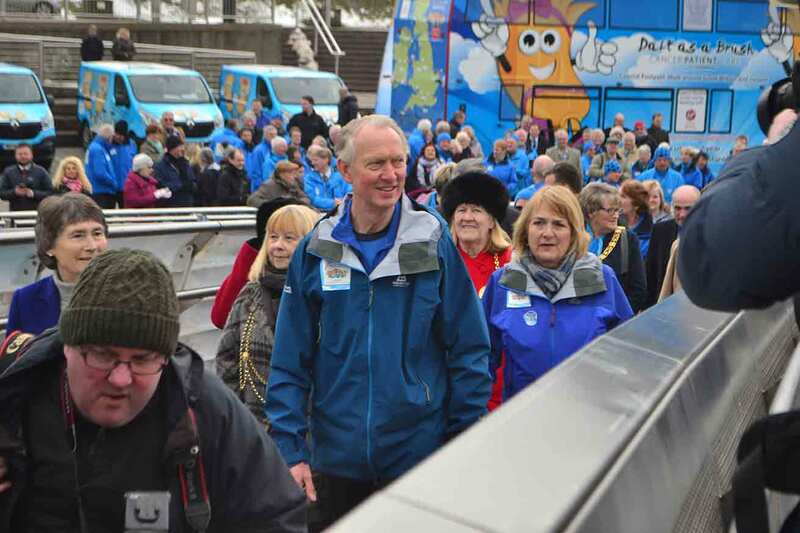 Everyone was a huge support waving bye-bye to Brian Burnie and walkers as they set-off. 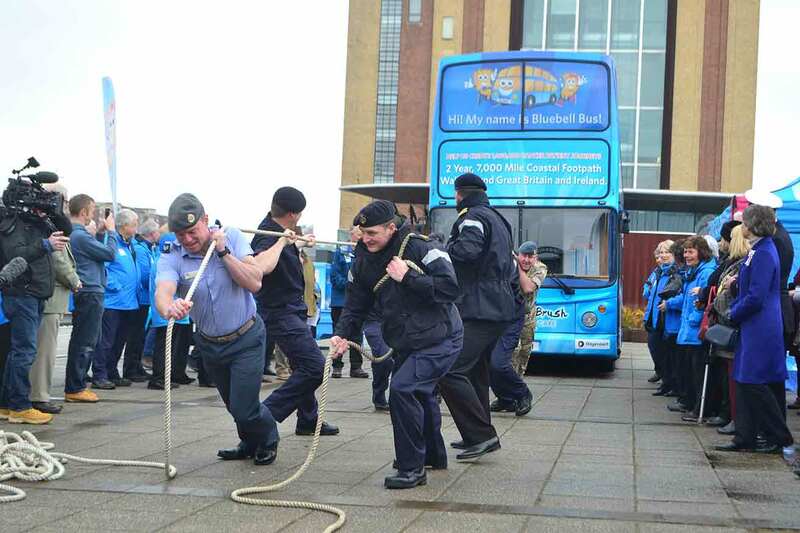 The wonderful lads at HMS Calliope towed Bluebell Bus the first 20 yards to get her going! What an amazing start to the journey! Thank you to everyone for making such a huge effort to be with us! You can help Bluebell on her way by donating with Virgin Money Giving – Please click here! Our thanks to Tony Iley and Hannah Watson at HKW Photography for the beautiful images.